Strange Days: Solar system may have "twin"
Solar system may have "twin"
Hopes have been raised of finding extraterrestrial life within our own galaxy. 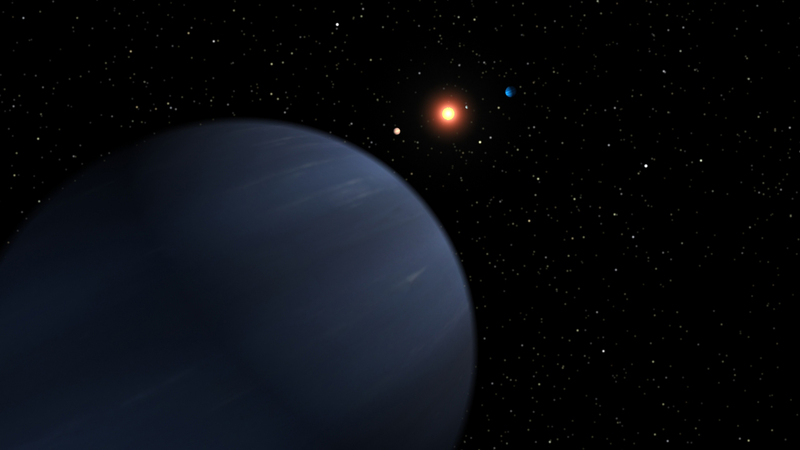 NASA scientists today announced the discovery of a new planet orbiting the binary star system known as 55 Cancri, in the constellation of Cancer. The 55 Cancri system has so far shown so many similarities to our own solar system, that scientists are hopeful it may also harbour a near twin of our own planet. You can read the full release here. NASA have also made these visuals available, as well as a high resolution image.